I think I've found myself a new coffee hangout place! We came here for the first time on a Saturday night after dinner and we loved the vibe here. The decor has a warm, cozy, homey atmosphere and it wasn't too crowded. Well, we didn't order anything fancy. Just an iced peach tea (RM13.20) for Ralph who is not much of a coffee person and 4 different flavors (vanilla, caramel, mocha and roasted almond) of regular frappés (RM69.60) for the rest of us. At RM17.40 for a regular frappé, it's a tad too expensive, yes!? 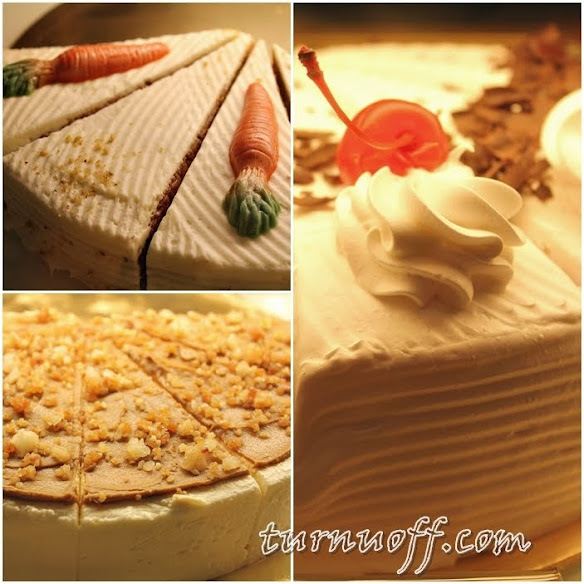 #10 The cakes were pretty and visually enticing, but our stomachs were at max capacity. So! We parked our butts on the comfortable couches for a couple of hours to chill, surf the net (free Wi-Fi available hooray! 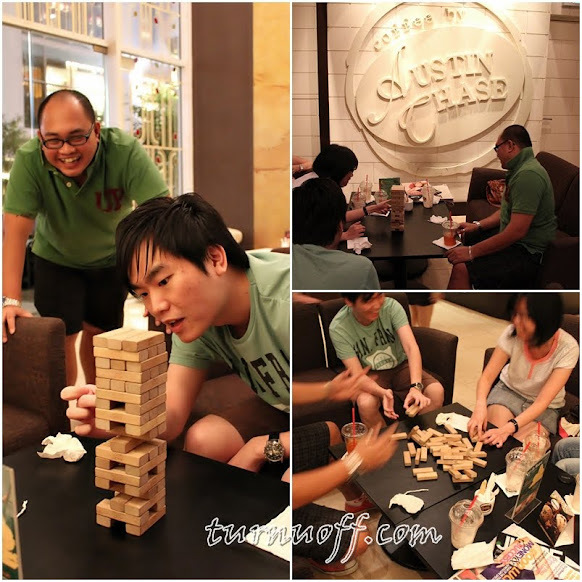 ), and most importantly, we had so much fun just spending time together – playing Jenga, laughing like mad kids and chatting over coffee. What an unexpectedly fun night! #13 They ended up playing more than 5 rounds of Jenga and they were kicked out for laughing TOO loud!